From the northern lights to noctilucent clouds, the range of subjects in this year's competition covers all things astronomical. Here is a selection of the shortlisted images. 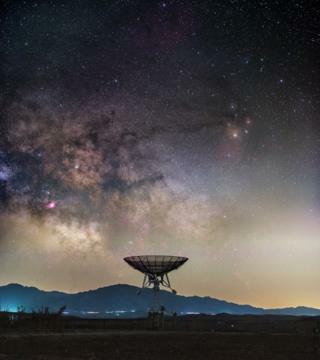 The Milky Way rises above a small radio telescope at Miyun Station, National Astronomical Observatory of China, Beijing, in Haitong Yu's photograph. "The image depicts light pollution, which together with electromagnetic noise, has turned many optical and radio observatories near cities both blind and deaf," says the photographer. To make this image, Haitong Yu used a light-pollution filter and stacked multiple frames to show the Milky Way above the city light. 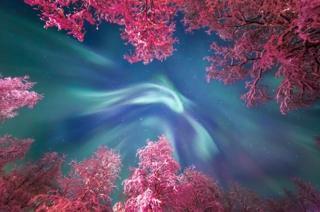 This picture of the aurora borealis swirling above snow covered trees in Murmansk, Russia, was made by Yulia Zhulikova. The trees glow a vivid pink, highlighted by street lamps. 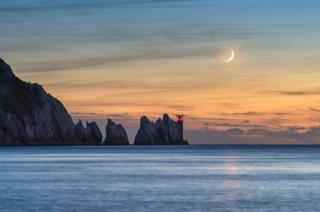 Ainsley Bennett captures the waxing crescent Moon setting in the evening sky over the Needles Lighthouse on the western tip of the Isle of Wight. Despite the Moon being a thin crescent, the rest of its shape is defined by sunlight reflecting back from the Earth's surface. 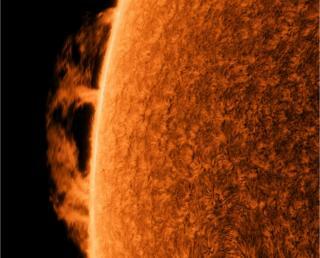 A large, searing hedgerow prominence extends from the surface of the Sun in Paul Andrew's picture. A number of different prominence types have been observed emanating from the Sun, and the hedgerow prominence is so called because of the grouping of small prominences resembling rough and wild shrubbery. A snow-clad mountain in the Eastern Sierras, California, towers over an aspen grove in Brandon Yoshizawa's image. 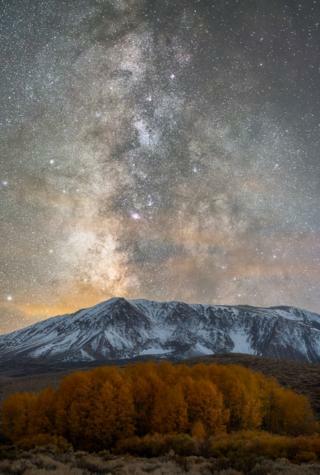 Above this autumn scene, the Milky Way shines. 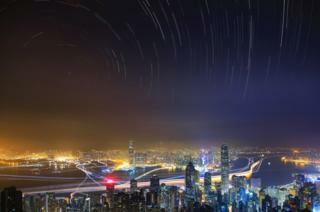 Taken from Victoria Peak, the highest mountain on Hong Kong Island, Prisca Law's image shows a busy city in contrast to the peaceful starry sky. The yellow haze above the landscape is light pollution. Along the coastline roads, the pattern of light signifies the fast-paced life of cities. After a long hike from his small cabin to Kvalvika, Lofoten Islands, in Norway, Nicolas Alexander Otto arrived at the slopes above the beach at about midnight. 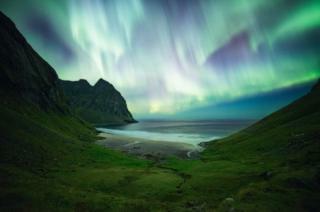 During the hike, the aurora borealis display was relatively weak. But when he made it to the beach, the sky ignited in a colourful show of greens and purples framed by the mossy landscape. The image was composed from six different exposures due to the high ISO camera setting and thermal noise in the foreground. The sky was added from one of these exposures. 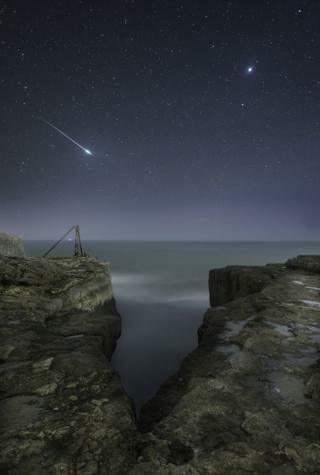 A shooting star flashes across the sky over the craggy landscape of Portland, Dorset, as the planet Jupiter glows in Rob Bowes's photograph. The image was made from two exposures: one for the sky and one for the rocks. 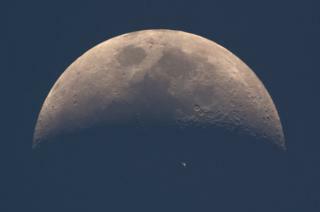 The International Space Station moves across the face of the Earth's natural satellite, the Moon, photographed in broad daylight by Dani Caxete. The ISS was illuminated by the Sun at a height of nine degrees on the horizon. Like the Moon, the ISS receives solar rays during its several orbits of the Earth a day, making it possible to see it when the Sun is still up. This image was made with a single shot, with no composite or clipping in the process. 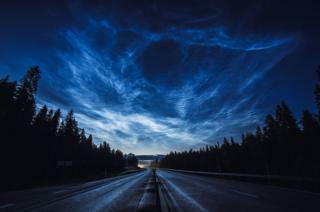 Noctilucent clouds stretch across the Swedish sky, illuminating Ruslan Merzlyakov's ride home in this dramatic display. Noctilucent clouds are the highest clouds in the Earth's atmosphere and form above 61km (200,000ft). Thought to be formed of ice crystals, the clouds occasionally become visible at twilight when the Sun is below the horizon and illuminates them. On 31 October 2016, Near Earth Asteroid 164121 (2003 YT1) made a close encounter with Earth at three million miles. 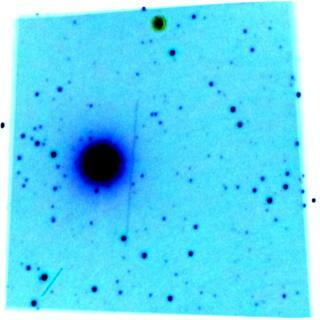 This Apollo asteroid with an orbital period of 427 days was discovered by the Catalina Sky Survey on 18 December 2003. Derek Robson's attempt at imaging the asteroid was done with a camera on a fixed tripod, controlled by Astrophotography Tool software. 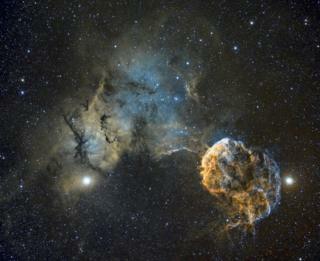 Its globular appearance has earned the celestial structure the moniker of the Jellyfish Nebula. In this picture made by Chris Heapy, at the upper left of the Jellyfish Nebula there is a much fainter background area of nebulosity, which is a large cloud of mostly molecular hydrogen gas and dust. Professional observatory data shows that what we are actually seeing are two lobes superimposed on each other, but from this angle one appears as the head of the jellyfish (to the left) and the other lobe (to the right) as the dangling tentacles. All photographs courtesy of Insight Astronomy Photographer of the Year.